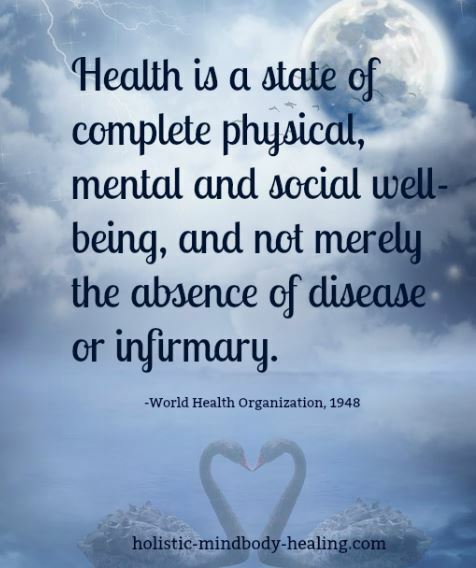 While researching the definition of holistic health I discovered that there a variety of explanations of what it means to be healthy in mind, body, and spirit. Many sources confuse it with healing and complementary alternative medicine. CAM includes all healing modalities except conventional modern medicine. They explain the hows of health and healing, but fail to include the overall conditions of body and mind that equal true health. The well-being of the whole self is what the definition of holistic health is based on. 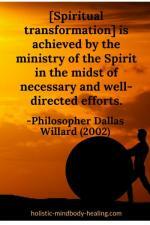 How do you achieve and maintain improved levels of whole self wellness? Borrowing from a variety of definitions, including the biopsychosocial model, I created the following inclusive definition of holistic health. It takes into account all areas of your life, including body mind health. Holistic health is your overall state of wellness on all levels of your being: physical, emotional, mental and spiritual. It encompasses the health of your entire being and extends to everyone and everything that interacts with you in any way. That includes your resources, your environment, and your relationships. Although we are accustomed to dealing with each of these areas separately, the word holistic implies the condition of the whole. 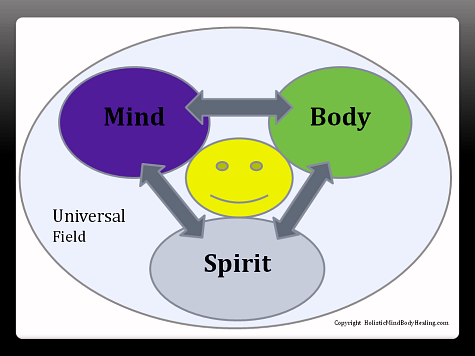 In reality, body, mind and spirit are completely intertwined aspects of the whole. They are not separate entities and cannot be separated. When you affect one level, either positively or negatively, to some extent you affect the whole person. For a deeper understanding of the definition of holistic health, it is helpful to look at the work of American psychiatrist, Dr. George Engel. Dr Engel rejected the medical approach of separating body as machine from the emotional makeup of patients in favor of an integrated approach. He believed it was important to examine all areas of life, including body mind health, interactions with your environment and others. These interactions are important measures of well-being on all levels. George Engel named his method of determining an individual's current state of health the biopsychosocial model. 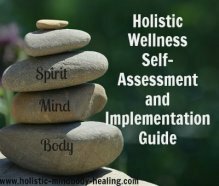 It helps you assess your level of holistic wellness now and in the future as you make changes. Dr. Engel considered wellness to be based on many factors interacting together to create a whole picture of health. These factors include biological, environmental, psychological, and aspects of life. Do you have unresolved relationship issues? Are you regularly around toxic chemicals in work or at home? How much fresh food do you eat each day? Are you happy with your job and financial status? Do you have a social support system? This view is contrary to the model embraced by the modern allopathic medical system, but I dare say in view of recent research about epigenetics (what is over the genes and influences them), the line is beginning to blur. Still, modern medicine mostly operates from the viewpoint that we are our genes. It is our genes that primarily determine how long we live, our mental outlook, and whether or not we eventually succumb to heart disease, Alzheimer's, cancer and other conditions. It is us and the medical establishment versus our genes. Recent research into the field of epigenetics is proving Dr. Engel correct. This is good news. It proves that we have a great deal more influence over our health and well-being than we were led to believe. The function of any society's health system is ultimately tied to the philosophical convictions that the members hold regarding the purpose of life itself. For the shamanic cultures, that purpose is spiritual development. 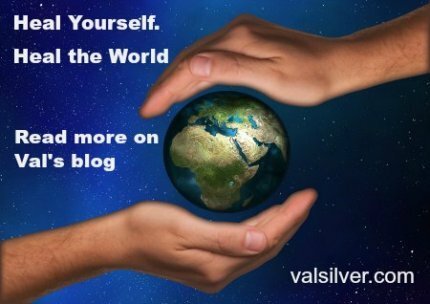 Health is being in harmony with the world view. Health is an intuitive perception of the universe and all its inhabitants as being of one fabric. Health is maintaining communication with the plants and animals and minerals and stars. It is knowing death and life and seeing no difference. It is blending and melding, seeking solitude and companionship to understand one's many selves... Health is seeking out all of the experiences of Creation and turning them over and over, feeling their texture and multiple meanings. Health is expanding beyond one's singular state of consciousness to experience the ripples and waves of the Universe. Dr. Achterberg spoke of a healthy person as one who has "an intuitive perception of the universe and all its inhabitants as being of one fabric." Health is being connected to Source and being connected with all that is. True health and healing restores vibratory frequencies, creates harmony, awakens the spirit, and releases you from an ego-centric, finite perspective of who we are and why we are here. Do you believe better health is within reach? I hope you said "Yes" because it is possible and can even be fun. Start by taking this quick self-assessment that will guide you where to start and which steps to take. This is just one of the gifts you get when you subscribe to the newsletter today. 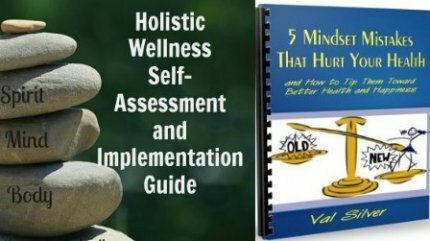 What is holistic health and what does it have to do with you? Holistic health is your state of overall well-being right now. It is not a static thing, but an ever changing state of being. It is the sum total of the choices you make and the actions you take each and every moment of your life in every area of your life. The choices you make in those moments will be a major influence of your physical and mental welfare in the future. It is helpful to think of health and well-being as a continuum. What you think, how and when you eat, sleep, exercise and relate to others moves you either further on the continuum toward good health or away from it. When you need are in need of holistic healing, understanding the definition of holistic health can help you make wise, comprehensive decisions about what you need to best go about making vibrant well-being a reality. And once you truly grasp the importance of the mind body spirit relationship, and address your personal welfare each of those levels, the more likely you are to see remarkable healing occur.